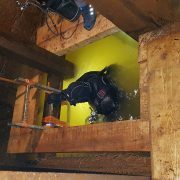 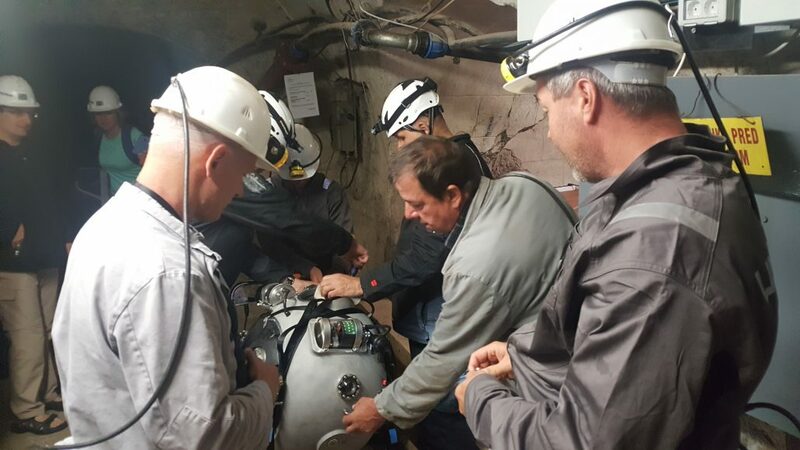 The second UNEXMIN field trials have just started in the Idrija Mercury Mine in Slovenia. 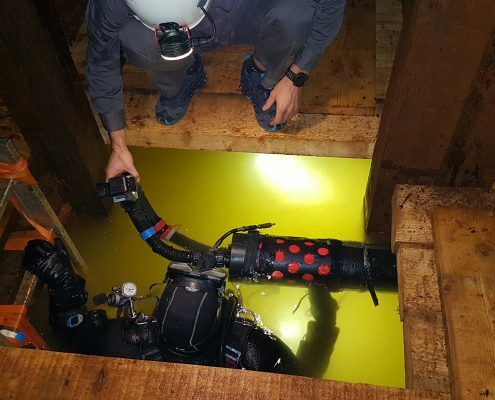 The trials will last for two weeks and will serve to further test and improve the movement, mapping and data acquisition techniques of the UX-1 robot. 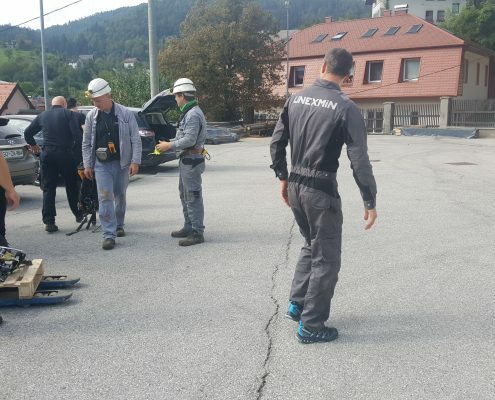 The UX-1 robot has safely arrived to Idrija during the weekend. 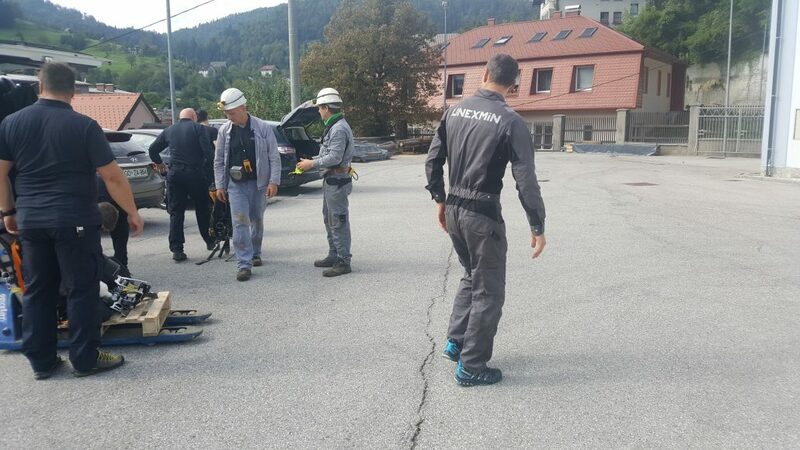 It is now inside the Idrija Mercury Mine, in the shaft Borba. 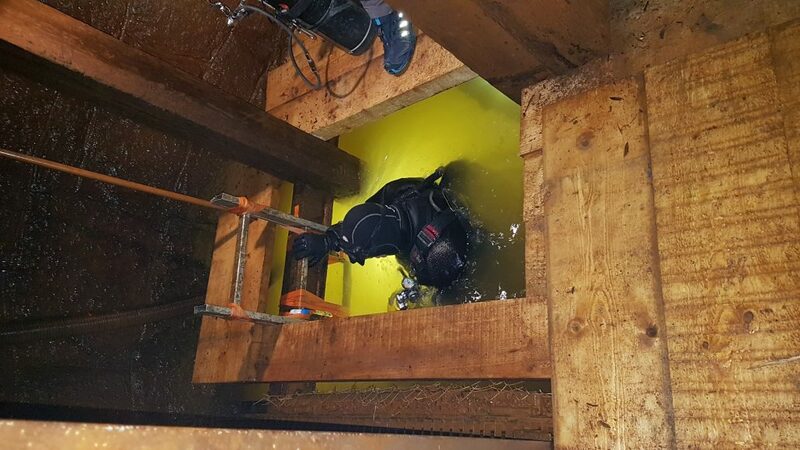 This old flooded mining shaft is located 120m below the surface. 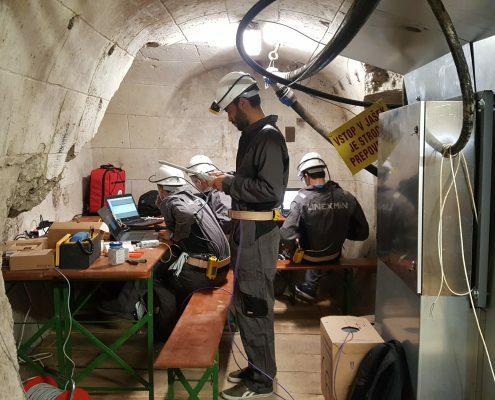 Preparations started with setting-up the communication equipment and control station. 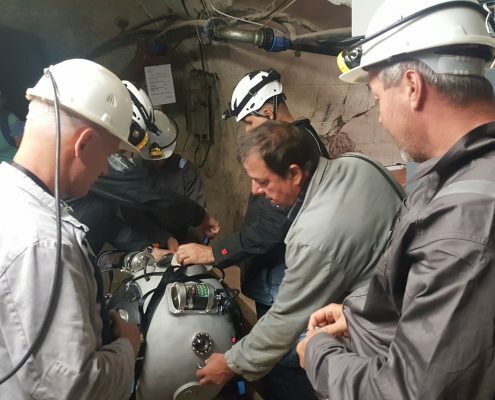 First, the robot will be dry-tested in the mine in order to make sure that all the equipment is ready. 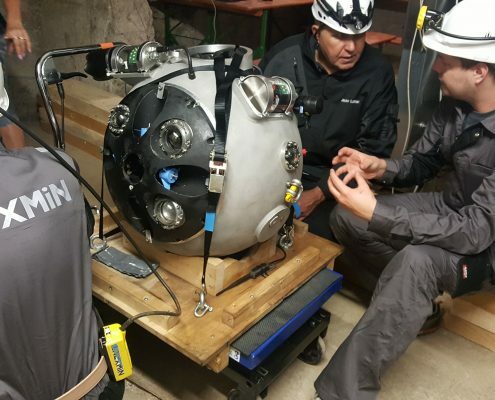 After, UX-1 will be transported to the water level, at approximately 200m below the surface. 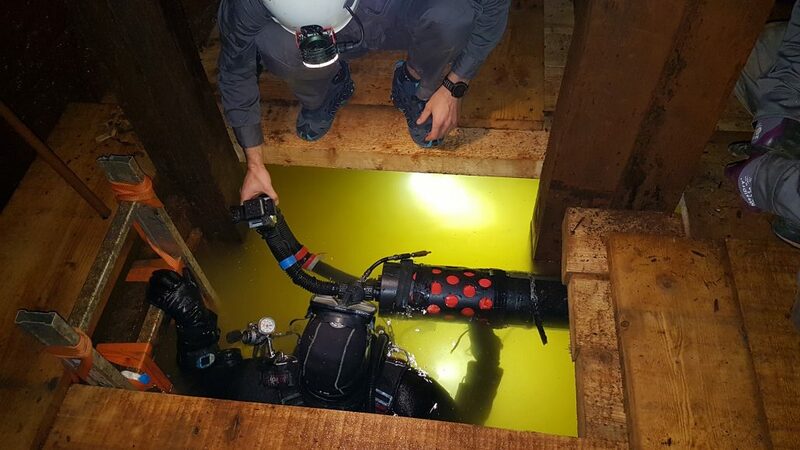 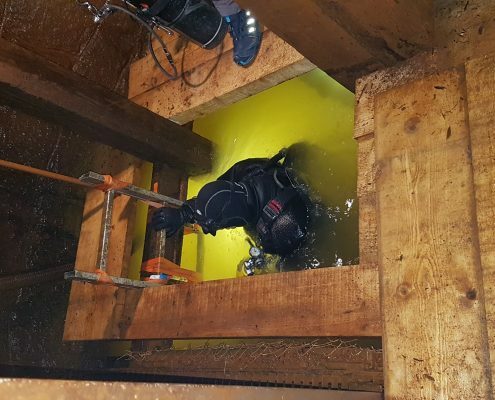 At this point, it will be launched into the water to explore the flooded underground parts of the 500 years old mine in Idrija! 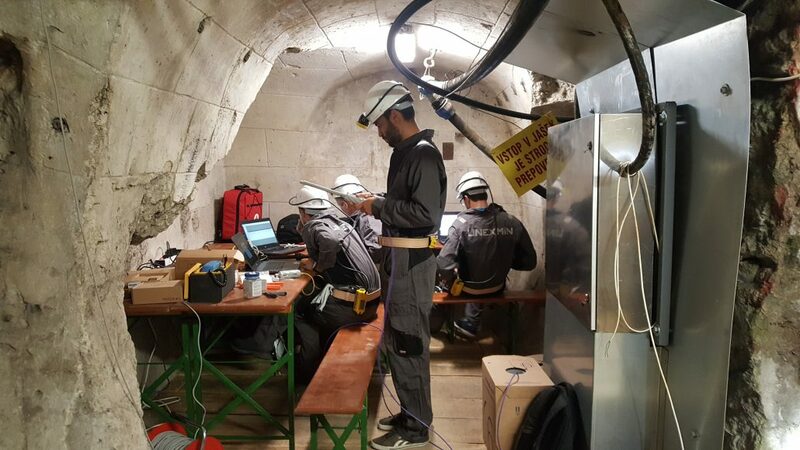 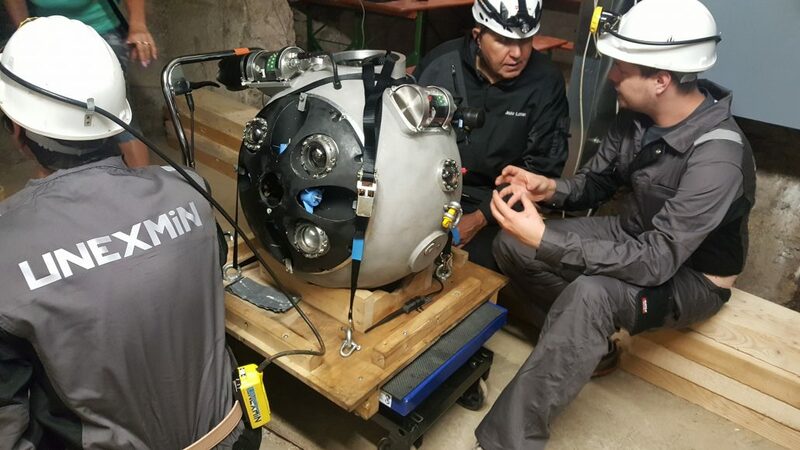 Make sure to follow the UNEXMIN social media channels Twitter, Facebook and LinkedIn to learn about the most recent developments at the Idrija test site!